You don’t need a titanium frame with the latest kit, luggage or lighting systems to ride long distances. Take for example this particular machine, dating from circa 1982. Retro features include peg-fitting pump, safety brake levers and down tube shifters. Note the LED lighting system. The rider successfully completed the 623km in a very respectable time, and is now hoping to secure entry to PBP. 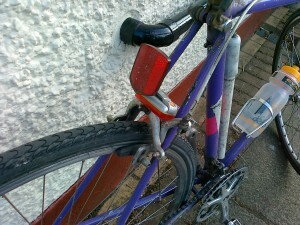 I read your blogs quite a lot and couldnt believe it when you had a picture of the same bike that I learnt my trade on. 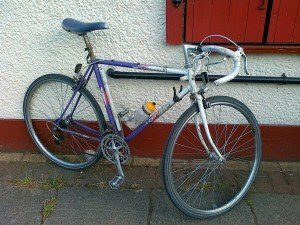 Fully agree with you that you do not need the most expensive, modern and best looking bike to ride long distances. I stacked up thousands of miles on my bike exactly the same as the one pictured.